During Manifesta 12, the highly successful exhibition, Ladies and gentlemen please make yourselves comfortable, conceived and curated by Geraldine Blais, is arriving in Palermo, named in 2018 as the city of Italian culture. The project, which is dedicated to highlighting the great artists of the past, is developed as a dialogue between their cultural heritage and contemporary artists. These surprising journeys take place in locations which are intimately linked to the human story and to the poetics of these fundamental protagonists of recent art history. The Palermo edition of Ladies and gentlemen please make yourselves comfortable is the third chapter of a story which started in Venice (Art Biennale 2015 and Architecture 2016) with two events dedicated to Carlo Scarpa. The exhibition will be organised as an ad hoc project for Palermo and will be dedicated to an artist whose life and art was inextricably linked to the city itself: Lia Pasqualino Noto (Palermo, 1909 - Palermo, 1998) therefore celebrating the twentieth anniversary of her death. From Monday 18 June to Sunday 1st July 2018, the doors of the artist's home-studio will open for the first time to the public. 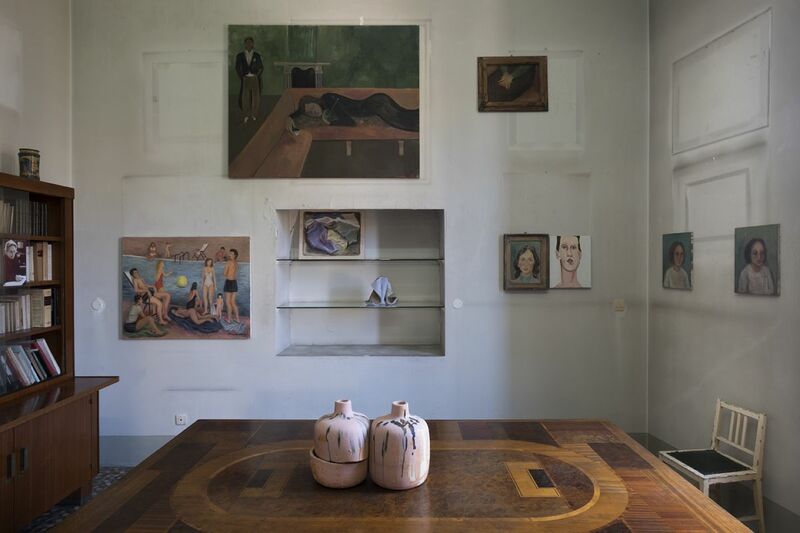 The project has involved several artists from the contemporary international scene, who have been invited to relate to the life and work of the Palermitan painter, in a journey that reappropriates the spaces of the Pasqualino Noto house. They have created a scene that communicates in harmony with the atmosphere and the pre-existing environments. It bears witness to the intellectual fervour that was among the most vibrant cultural focal points of the city of Palermo, hosting one of the most radical personalities of the Italian artistic scene between the two wars. The exhibition project also intertwines the past and present of the Pasqualino Noto family: alongside the artists, it has invited members of the artist's family to create some works, with the aim of restoring the immense legacy that the artist has left in the experience of successive generations.